Let's talk transfer - and no I'm not talking about a Bus Transfer or your morning commute, I'm talking Laundry. Ever get distracted while sorting and throw a red sock in with your whites by accident? RUH ROH - That awkward moment when you turn your white underwear pink. Your favorite white dress shirt perhaps? Either way it's not pretty. Transfer can be expensive my friends and our friends at Purex can help you prevent that from ever happening again. 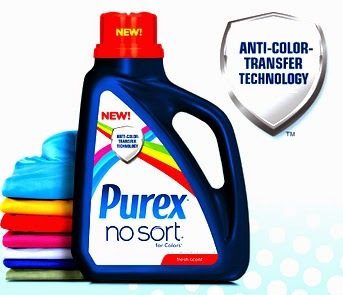 Ƹ̵̡Ӝ̵̨̄Ʒ - Purex® new Anti-Color Transfer Technology, traps loose dyes in the wash and does not let them settle onto other garments/fabrics. Ƹ̵̡Ӝ̵̨̄Ʒ - Always forget to use the color protecting washer sheets? Now you don't have to worry! Ƹ̵̡Ӝ̵̨̄Ʒ - You can also enter to win $1,000 and a Year's Supply by signing up for the Purex Newsletter. PLUS - 10 runners up will win 4 free movie passes! Ƹ̵̡Ӝ̵̨̄Ʒ - And to get the party started I can offer 1 lucky butterfly a Free Product Coupon so you can try out Purex No Sort for yourself! Who Loves YOU Butterfly? FTC Disclosure: I am a Member of the Purex Insiders Program. Purex has provided me with a product sample for editorial consideration, however all opinions expressed herein are 100% my own. The sponsor is fulfilling directly to prize winner(s), this in no way influenced my opinion of the product. Once a winner is selected and their information has been forwarded to the sponsor, the responsibility of prize fulfillment rests with the sponsor. Ascending Butterfly and our giveaway sponsors are not responsible for lost or mis-directed mail. 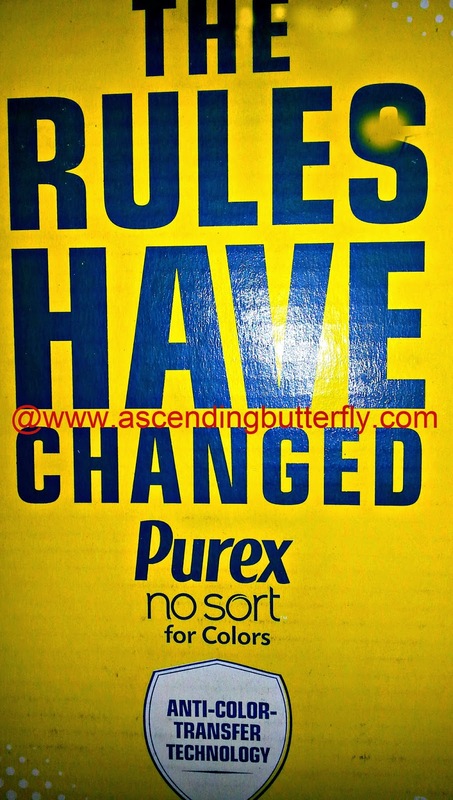 I wish I had this Purex No Sort years ago when I thru in a blue sock in with my husbands white tee's he was not a happy camper my friends. I shrunk a few sweaters that didn't belong to me.